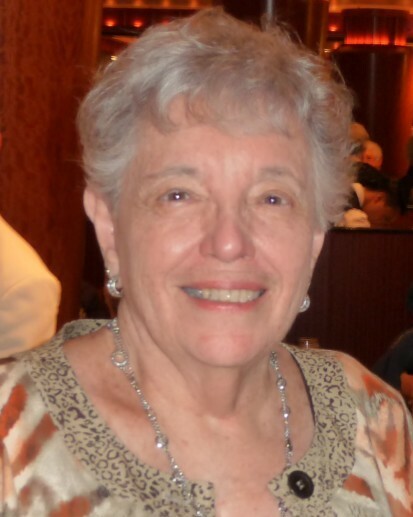 Katherine Sheila Siroky, 83, passed away peacefully on March 30, 2019 in Raleigh, NC surrounded by her children. She was born on February 28, 1936 in Bronx, New York, to Sam and Irene (Cavanaugh) Linado. Sheila (as she was known to all) grew up in the Grand Concourse area of ‘The Bronx’ and was a graduate of William Howard Taft High School, Class of 1954. After high school, she worked at the Alcoa Corporation in Manhattan. Shortly thereafter, Sheila met her husband of more than 50 years, Joseph L. (Joe) Siroky, at a USO dance in the Bronx. They married in 1957 and later moved to the New York City suburb of Tappan, NY where they lived for 32 years. As a working mother, Sheila was active in the Boy and Girl Scouts, attended her children’s musical, theatrical and athletic events, and was ‘Chief Chauffer’ for many years. Active in school and community events, she also spent time creating delicious Italian meals for her family and honing her love for arts and crafts, including ceramics, crocheting, and embroidery. Sheila even tapped into her entrepreneurial spirit at one point by selling her handmade bejeweled glassware in a local gift shop. During her time in Rockland County, Sheila also held various business/administrative positions at several companies, including Bankers Trust and Instrumentation Laboratory. After retirement, Sheila and Joe decided to head south and in 1997, they built a home in the Royal Highlands community in Leesburg, FL. During her 22 years in central Florida, Sheila was the epitome of a ‘social butterfly’: an active member of social groups, organizer and attendee of frequent community events, and participant in many outings and road trips. An avid traveler, arts & crafts aficionado and weekly card game hostess, Sheila also attended numerous ‘how to’ classes and loved to attend local theater and music events. In 2019, Sheila moved to Raleigh, NC to be closer to her children. Sheila will be remembered as a loving wife, mother, grandmother, and friend. Her light-up-the-room smile and outgoing personality will be missed by all who knew her. Sheila was preceded in death by her beloved husband Joe, her parents, and a twin sister who died shortly after birth. She is survived by her daughters Kathryn (Michael) Hawley of Raleigh, NC and Theresa Siroky of Atlanta, GA, and her son Steven Siroky of Lancaster, SC. Additionally, she is survived by her beloved grandchildren Caitlin and Christopher Hawley. She also leaves behind countless cousins, nieces, nephews, close friends, and her adored fur-baby, Cricket (who continues to lead a privileged life in Raleigh). A private Celebration of Life service will be held on April 16, 2019 in Raleigh, NC. Interment to follow at a later date at the Florida National Cemetery in Bushnell, FL. Her family requests that In lieu of flowers, memorial donations may be made in Sheila’s name (Katherine Sheila Siroky) to Transitions LifeCare at www.transitionslifecare.org/donate or the Alzheimer’s Association at www.alz.org/donate. The family wishes to extend their gratitude to Carillon Assisted Living in Wake Forest, NC and Transitions LifeCare in Raleigh, NC for their wonderful care and support they provided Sheila and her family.